See the last minute tickets available for Mamma Mia! Mamma Mia! is a worldwide smash hit, itself based on the success of ABBA's timeless songs. 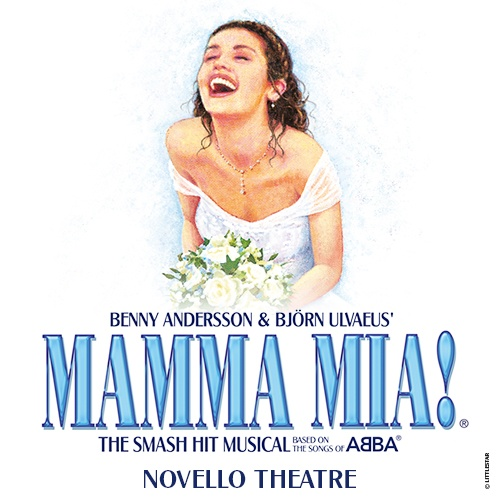 Originally written by Catherine Johnson and produced by Judy Craymer, Mamma Mia! the musical first started off as a West End production at the turn of the millennium in 1999. Since that time, it's gone from strength to strength with further productions appearing across the globe and a smash hit film appearing on the big screen. Set in the Greek Islands, Mammia Mia! is a simple story about a young girl (Sophie) who is desperate to find the true identity of her father on the eve of her wedding. Sophie has three possible fathers to choose from Sam (an architect), Harry (a banker), and Bill (a writer/adventurer) and she plans to get them all together without her Mother's knowledge and discover who her real father is. But will it be that simple? Will the wedding go off as planned? What will her mother think? The story of Mamma Mia! is cleverly told through the medium of song – in this case, 27 classic and well-known ABBA tunes, including such hits as Dancing Queen, Knowing Me, Knowing You, Take A Chance On Me, Thank You for the Music, The Winner Takes It All and SOS. And it's simple, heart-warming story, backed by such a strong score is ultimately the reason for its success. Mamma Mia! has won a number of awards for both its West End and Broadway productions including the Laurence Olivier Awards for Best New Musical and Best Actress in a Musical, as well as Tony Awards for Best Musical, Best Orchestration and more. It is said that Mammia Mia! Has gained such popularity with theatregoers that it has now been seen by over 50 million people and continues to entertain more people on a weekly basis. With over 10 years since it originally started in the West End, Mamma Mia! is both a testament to the writing talent of Catherine Johnson and the musical talents of ABBA. It's worth noting that Mamma Mia! is also one of only 5 musicals in history to have run for more than 10 years on both Broadway and in the West End. Purchase tickets to see Mamma Mia! Save up to 50% off the price and be sure to have the time of your life!